Get ready for a fantastic time as a wily fox (voiced by George Clooney) tries to outsmart three mean-spirited farmers and steal their chickens, only to trigger a battle between the farmers and a community of cunning animals. Directed by Wes Anderson, other voices included Meryl Streep, Jason Schwartzman, Bill Murray and Owen Wilson.? ",2.jpg,Incredible Animated Movies 3473,FANTASIA (1940),Walt Disney took a big chance with this ambitious anthology of animated fantasies. First, he set them to lengthy classical music pieces, and then he boldly experimented with different forms of animation, sometimes jettisoning any sort of narrative altogether. The result is a sometimes mesmerizing, sometimes hilarious, sometimes frightening, but always beautiful movie-going experience. Best Animated Feature about a clown fish who teams up with a ditzy blue tang to search for his missing son. This witty, sweet and beautifully animated undersea adventure was produced by Disney and Pixar Studios. In this visually-stunning animated adventure, a videogame villain attempts to change his image by participating in a first-person-shooter game but in the process, he wreaks havoc in his virtual universe by freeing an evildoer who can only be defeated with the help of an unlikely ally. 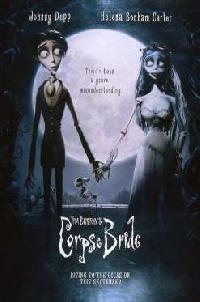 Tim Burton co-directed this delightfully macabre musical-comedy featuring dazzling stop-motion animation. Johnny Depp provides the voice of a Victorian-era man who mistakenly weds a girl from beyond the grave. Other voices include Helena Bonham Carter, Emily Watson, Tracey Ullman and Albert Finney.